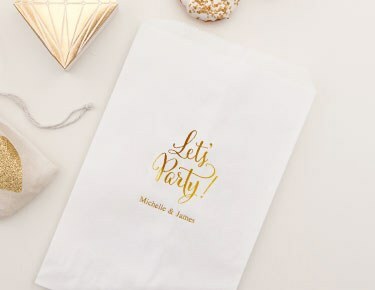 Check out the personalized paper favour bags for the candy buffet at your wedding reception or party from Weddingstar. 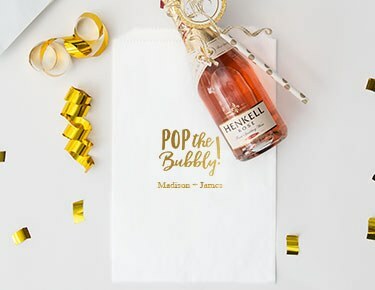 Our great selection of favour bags runs the gamut from trendy wording and popular themes to classic foil monograms and designer looks for any special occasion. 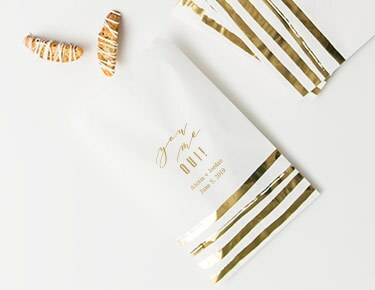 A candy bar or buffet is a delightful addition to any party, and personalized paper favour bags let your guests know you appreciate them while giving them a unique keepsake for the event. 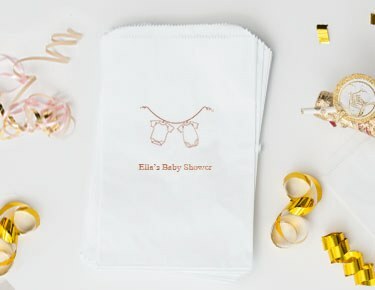 Be it baby shower, birthday celebration, bar mitzvah or baptism, your party will be a real hit that people will remember when they get to take home a sweet treat in a favour bag emblazoned with your personal message. 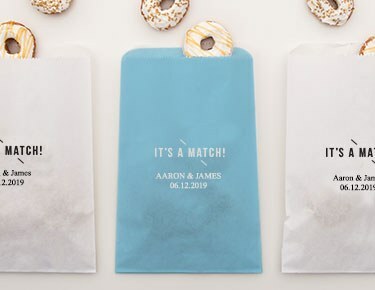 All the paper favour bags at Weddingstar are available in a variety of colours from elegant ivory or black to crimson red and sunshine yellow. 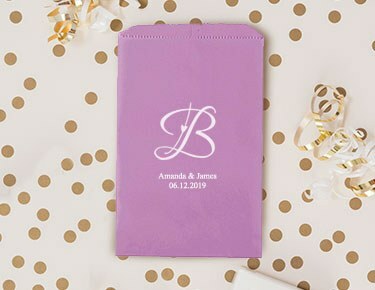 Choose your colour, then embellish these high-quality favour bags with one of our popular theme designs. 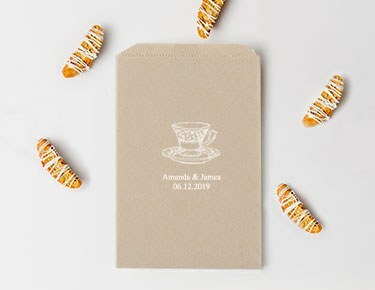 A rustic chic barn wedding is the perfect place for a candy bar featuring favour bags printed with vintage tea cups or cutlery. 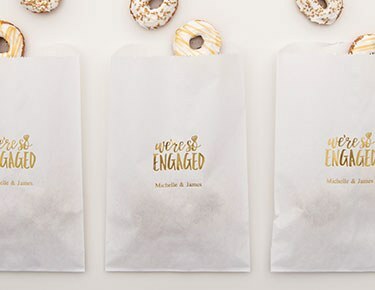 A black-tie affair doesn't have to be stuffy when a sophisticated candy buffet of colourful treats is accented with favour bags featuring elegant snowflake or fleur de lis details. 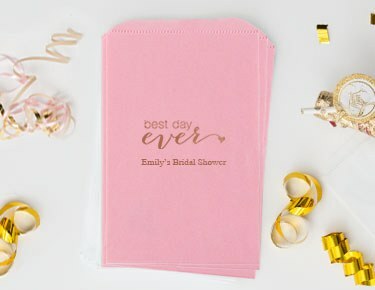 Trendy wording embossed on handy favour bags can bring a little fun to any special occasion. 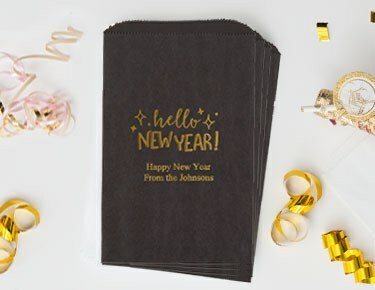 Encourage your guests to sweeten up with clever sayings like "Good vibes" or "Baby, it's cold outside," and they'll eat it up. 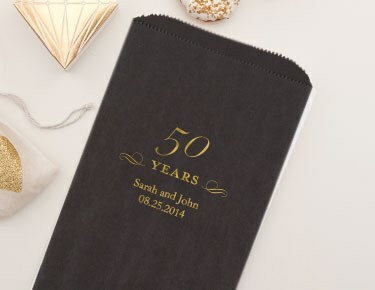 Whichever design you choose, your personal message or date can be added to make sure your loved ones remember the fun long after the candy treats are gone. 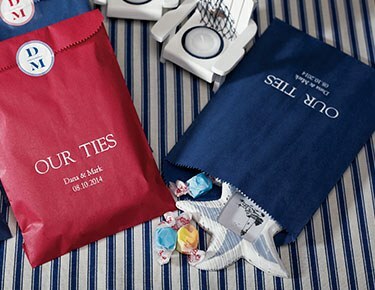 Let personalized favour bags from Weddingstar bring it all together for a special occasion that's sweet and memorable. Most North American orders over $99 ship free.